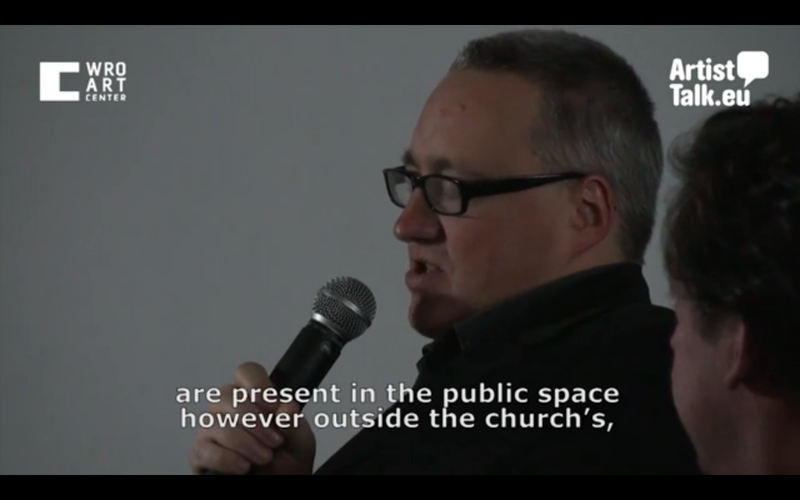 In the 2nd part of Artist Talk Marek Wasilewski discusses the inspiration for and presents the documentation of his video project Adam (2010) – part of the 14th WRO Art Media Biennale in Wrocław. 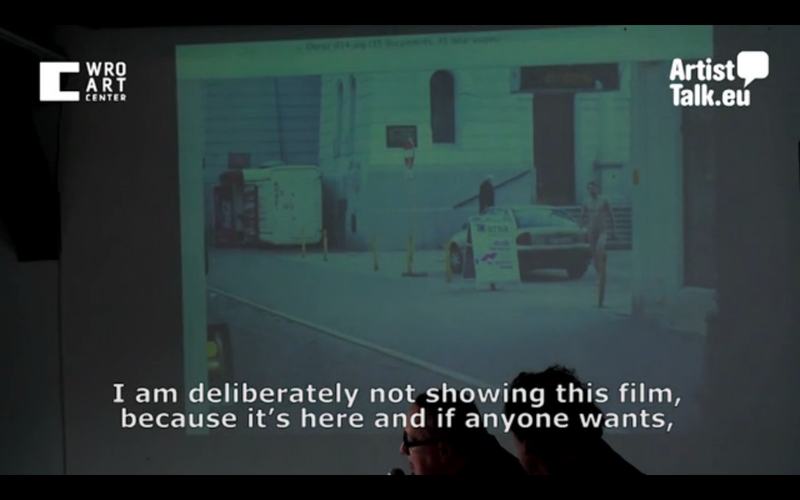 His video tracks a young naked man in the streets of Łodz. In the end of the video the man disappears behind the gates of the Cathedral. This work became a subject of controversy because the church claimed that the artwork desecrated the cathedral and wounded religious feelings. 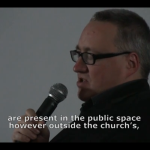 Adam represents Wasilewski´s interest in simple situations that generate complex meaning but also pose questions about the relation between human and street as well as whom the public space in Poland belongs to.